Driving an older vehicle is often a smart financial decision, as they’re typically more affordable to buy and insure. But an older vehicle could also make you a target for car thieves. The National Insurance Crime Bureau recently released its annual “Hot Wheels” report, which identifies the 10 most-stolen vehicles in 2016 in the United States according to vehicle theft data. If your vehicle is on the list, you might feel a brief wave of panic. Finding that your car has been stolen can be a nightmare, and older vehicles without built-in anti-theft systems are especially vulnerable. Whether or not your car is on the list, buying the right car insurance can help you avoid paying for a new car yourself if yours is stolen. Comprehensive insurance pays the current value of your car if it’s stolen and not recovered. It also pays for damage from vandalism, weather, fire and animal collisions. Comprehensive claims have a deductible, which is the amount deducted from your insurance check. Comprehensive and collision insurance are typically required if you have a car loan or lease, but they are not otherwise required by state law. The makes and models of vehicles on the NICB’s most-stolen list haven’t changed much over the past few years. However, when comparing the first half of 2015 to the first half of 2016, the FBI found that the total number of reported vehicle thefts in the U.S. increased 6.6%. According to the NICB, one possible cause for this uptick could be that thieves are using sophisticated hacking technology designed to overcome electronic anti-theft systems, in addition to targeting older cars. Here’s a look at the cost of collision and comprehensive insurance for the most-stolen vehicles in the model year most affected by theft. Since these coverage types are often sold as a package, we looked at rates for policies with both. 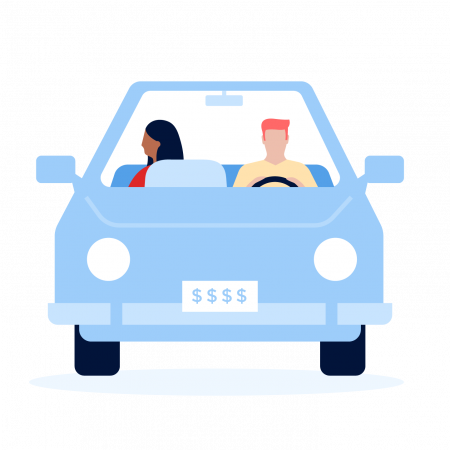 The maximum payout from collision or comprehensive coverage (for a stolen car, for example) is the value of the vehicle minus your insurance deductible. If you have an older car, consider whether the cost of collision and comprehensive coverage over several years is worth the potential insurance payout. Remember to subtract your deductible from the amount of the vehicle’s value. Your vehicle is stolen and was worth $3,675 at the time. Your deductible is $1,000. Always turn off your vehicle if you’re not in it and take the keys with you. Even in your own driveway. Lock all doors, windows and the trunk or hatch every time you leave your vehicle. Use anti-theft systems in your car such as external steering wheel locks, hood locks, tire locks, kill switches, car alarms and tracking systems such as Lojack. Bonus: Having an anti-theft system might qualify you for a discount on your comprehensive car insurance. Choose parking spaces that are off-street, highly visible and well-lit whenever possible. Also, don’t leave your vehicle in an unmonitored parking lot or parking garage for long periods of time. Never write your name or address on your keychain. If lost, thieves can use this information to locate and steal your vehicle. Park your vehicle with the front end facing an obstacle, such as a wall or guardrail, whenever possible. This makes it harder for thieves to tow or roll your car away if they can’t get it started. When you must park on the street, park with wheels turned toward the curb and lock the steering wheel. Again, this makes it harder to tow your car away without damage. Have your VIN number chemically etched on your windows by a car dealership or local police department, if it’s not there already. Etching makes it harder for thieves to resell your vehicle and its parts. Beth Buczynski is a staff writer at NerdWallet, a personal finance website. Email: bbuczynski@nerdwallet.com. The list of stolen vehicles was compiled by NICB using data submitted to the National Crime Information Center by law enforcement. For rates, NerdWallet looked at annual prices with and without collision and comprehensive insurance. We averaged the three lowest rates in each state shown for 30-year-old men and women in 10 ZIP codes from the largest insurers in each state. We used a $1,000 deductible for comprehensive and collision coverage. All rates include liability coverage of $30,000 bodily injury per person and $60,000 bodily injury per accident. Rates are for drivers with no accidents or violations on record. For Ford trucks, we looked at rates for the F-150. For Chevy trucks, we used the Silverado. For Jeep, we used the Cherokee. “Replacement value” indicates average retail or clean retail value from the National Automobile Dealers Association using ZIP code 94404. We used 2-wheel-drive vehicles when more than one option was available. The car values listed do not represent all possible option packages.